From a theological viewpoint, it seems somewhat artificial to separate the passion and death of Jesus from his resurrection. But for Ignatius, the difference is in the mood of the week and in the graces for which one is to pray. Note the contrast between them in this English translation of his original words. As you can see from the outline below, the ‘Fourth Week’ is comparatively short. Yet, in a sense it is both the goal of all that has preceded and the beginning of the movement back into ‘normal’ life. In SpExx 300-312, Ignatius expands the headings in SpExx 218-226 with brief reflections on the appearances of the risen Jesus. His main purpose of course is to offer stimulus and focus for the one praying on these scenes. But they also provide a fascinating insight into Ignatian hermeneutics, the way he understands and applies the New Testament message to the spiritual life. “He appeared to the Virgin Mary. The content of these contemplations of the ‘fourth week’ consists of the various resurrection appearances as recounted in the Gospels, with related passages from Acts and 1 Corinthians. St Ignatius gives several suggestions. In each of these contemplations, we are invited to identify with an individual disciple in her / his encounter with the risen Jesus. Notice how the additions to the Spiritual Exercises (SpExx 226-229) and the grace for which we pray, are centred on Christ as the one who consoles. It is the risen Jesus rather than the retreatant who is the focus of the whole fourth week. The grace for which we pray is to share their experience of being ‘surprised by joy’ (a felicitous phrase coined by C.S. Lewis), and to be blessed with a deep sense of peace, a “peace that only (Christ) can give” (John 20:21). Such peace and joy are both the substance and the mood of the Fourth Week. Read the passage through a couple of times. 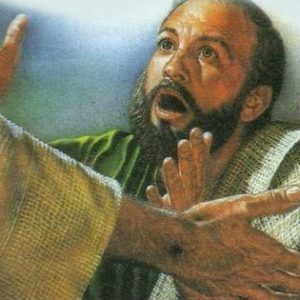 Imagine you are either Peter or the Beloved Disciple. Then enter into the scene, allowing yourself to see and hear as if it were you there present. “Then Peter and the other disciple ran to the tomb. 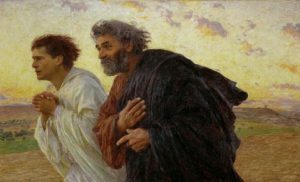 The two were running together, but the other disciple outran Peter and reached the tomb first. He bent down to look in and saw the linen cloths lying there, but he did not go in. Then Simon Peter, following him, went into the tomb. He saw the linen cloths lying there, and the face veil, not lying with the cloths but rolled up in a place by itself. 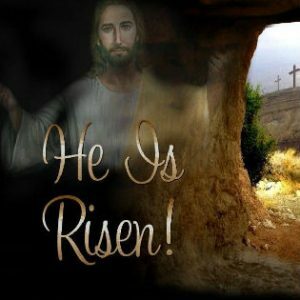 If you identified with the Beloved Disciple, you might ask the risen Jesus for the grace of resurrection faith – he intuited the truth of the Resurrection from reading the signs: what he saw inside the tomb! If, on the other hand, you feel more at home with Peter, sit humbly with the mystery and allow Jesus to console you as you rejoice in his presence now as the risen Lord. Read the passage through slowly a couple of times. 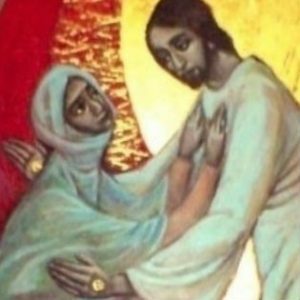 Imagine you are Mary Magdalene. Then enter into the scene, allowing yourself to see, hear and speak as if it were you there present. Jesus says to her: “Mary”. She says to him in Hebrew, Rabbouni (Teacher). 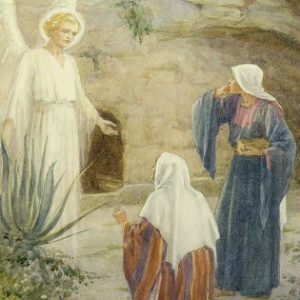 Jesus says to her, “Do not cling to me, for I have not yet ascended to the Father; but go and tell my brothers/sisters: “I ascend to my Father and your Father, to my God and your God.” Mary Magdalene went and announced to the disciples, “I have seen the Lord” and told them the things he had said to her.